A debut memoir follows a large family in rural Connecticut. Plimpton was born in 1949 near Lyme in southern Connecticut. Her maternal grandmother, Maria Bull, was one of 10 Harding sisters who grew up in the area. In this book, Plimpton relates what she remembers of the sisters’ lives, a task that was passed down by her mother, Elizebeth. 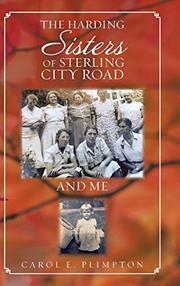 The author says her mother was “the true writer in the family” and also had an interest in local history and genealogy. She encouraged Plimpton to recount the “many great stories” of the Harding sisters. The author begins with eight chapters portraying the sisters and their one surviving brother. As she remembers little of some sisters, passages are short and factual: general demeanor, a brief anecdote, an obituary. Plimpton spends more time on Helen, who became her “Nana” after Maria died. She discusses the shared family farmhouse, the chicken coop that became a playhouse, Helen’s constant and welcome company, and the dramatic suicide of Helen’s second husband. The second half of the volume features short chapters about family routines: visiting various households, going to Sunday school and church, relishing holiday memories. Plimpton’s life—and those of the Harding sisters—does not seem particularly unusual so the “great stories” are all in the telling. The author’s writing is crisp, but, unfortunately, she moves too quickly through facts without pausing long enough for readers to get to know (or even sort out) the many sisters, husbands, and children. Intriguing images—such as young Plimpton and her friend Nancy Adams penning and selling a weekly newsletter called HOT NEWS and creating clubs in the old chicken coop—are skimmed over. The author does devote a chapter to a long-standing family feud that caused the ostracism of Plimpton’s mother by all but one Harding sister. But again, she focuses more on facts than storytelling. With her addition of a family tree, marriage records, and many photos, the book reads more like a historical record—or notes for a forthcoming narrative—than a memoir. The work will most likely appeal to historians and members of the author’s family. An uneven chronicle reveals the joys and tribulations of New England sisters.